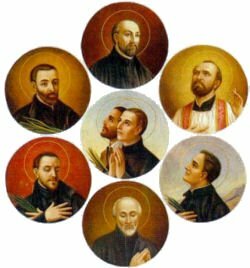 O God, strength of all the Saints, who through the Cross were pleased to call the Martyrs Saint Paul Miki and companions to life, grant, we pray, that by their intercession we may hold with courage even until death to the faith that we profess. The question of who was Saint Paul Miki is dealt with on Rome Reports today. The video gives a brief intro the life of the martyr and his companions. 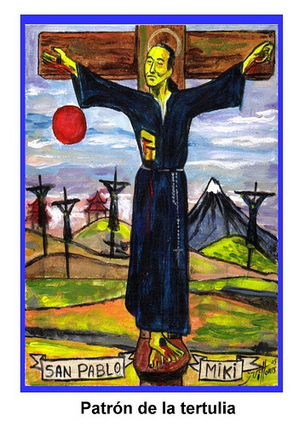 The 2010 post on Nagasaki martyrs Paul Mike, et al. 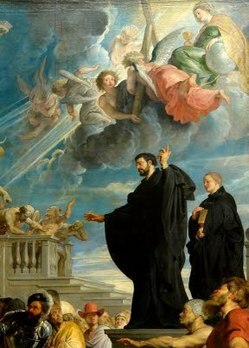 Today, we take inspiration from the life and work of a great missionary of the Church in the person of Saint Francis Xavier. He got of the classroom and did something for Christ and the Church. Let’s take time today to pray for missionaries and a rejuvenation of the missionary work of the Church. redemption through the His Blood, the remission of sins. 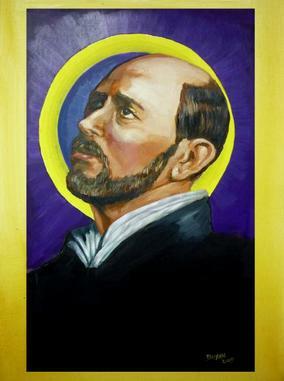 Saint John de Brébeuf, pray for us. Saint Noël Chabanel, pray for us. 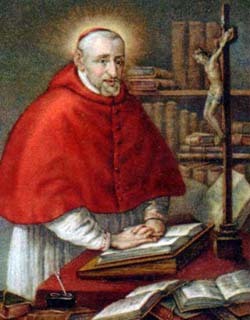 Saint René Goupil, pray for us. Saint John de la Lande, pray for us. Today’s saint is special to me for many personal reasons, one of which is the fact that he gave himself to the Lord for his total and unreserved use. One can claim to like Bellarmine for his intellect, or the way he worked with controversial Catholic preachers and theologians and Protestants, or with Galileo, or his service to several popes, but what about his capacity to love the Lord and his neighbor, and what about his ability to know his limitations and his gifts, or his capacity to live the Beatitudes? Each time I am in Rome I make a path to St Ignatius’s Church where Bellarmine is buried in the third chapel on the right as you face the main altar, near to his dear friend, Saint Aloyius Gonzaga, to pray for several intentions, among them are: theologians, the pope, the Jesuits, +Avery Robert Dulles and of course, myself. The feast of St. Robert Bellarmine, from the Society of Jesus, Doctor of the Church and bishop, who was outstanding at arguing the theological controversies of his day. He resigned his red hat, then gave himself wholeheartedly both to pastoral ministry in Capua, with great success, and took up very many challenges in defense of the doctrine of the faith at the Holy See in Rome.